Character, attitude, a distinctive fragrance trail: these are the ultimate sophistication of the refined man. 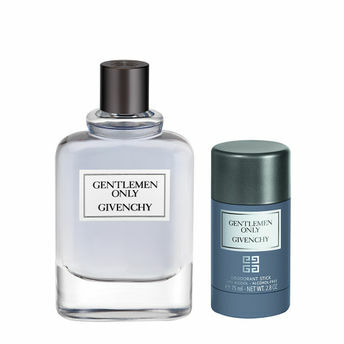 The quintessence of the Givenchy gentleman. Inspired by the House’s Couture spirit, Gentlemen Only Absolute, offers the modern man that incandescent olfactory imprint left by an exceptional experience – an absolute moment that leaves a sensual, addictive scent on the skin, making the occasion... unforgettable. Fragrance Notes: This fragrance combines bergamot and its metallic accents with a trio of warm spices (saffron, nutmeg and cinnamon), sandalwood and a hint of vanilla for sensuality.